Hook’s Point Irrigation offers irrigation products in Stratford, IA. Irrigation is all about supplying the right amount of water at the right time, consistently throughout the season. We can help you manage one of the world's most valuable resources, water, to achieve the results you need. Please contact us to discuss how we can help you develop an irrigation system that is right for you. To our customers, we offer many years of experience and professionalism in designing an irrigation system that fits your needs. 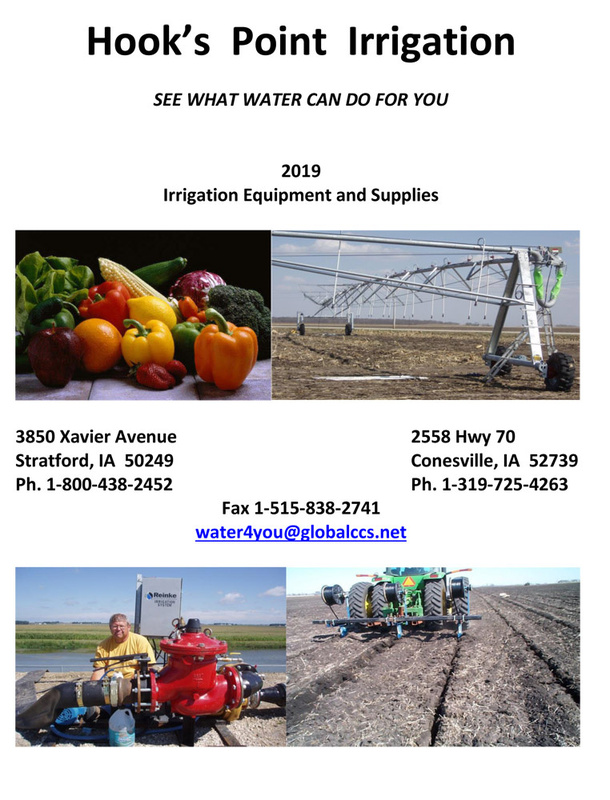 We offer our expertise in the following products: center pivots, drip irrigation, and manure handling. We are authorized dealers of Reinke, Rivulis, Netafim USA, Toro, Balzer, and Cadman. To learn more about all that we have to offer, please visit our products page.